Cape Town – Public Enterprise Minister Lynne Brown’s spokesperson, Colin Cruywagen, has responded to claims Exxaro CEO Mxolisi Mgojo made in his testimony at the Eskom inquiry related to a R1.8bn capital injection the minister refused the company. When the Eskom inquiry resumed on Wednesday, Mgojo appeared before the portfolio committee on public enterprises to present evidence on how Eskom pushed out the company from supplying coal. Mgojo spoke on its Matla mine, one of the largest coal resources for Eskom in Mpumalanga. Exxaro had informed Eskom as far back as 2004 that capital was required to sink another shaft for the mine, as one of the existing shafts had become unsafe. As at 2016, the capital required was R1.8bn, Mgojo said. “Eskom delayed and has, to date, not provided Exxaro with the capital,” said Mgojo. Exxaro had written to then-CEO Brian Molefe in 2016 to indicate the necessity of a new shaft. 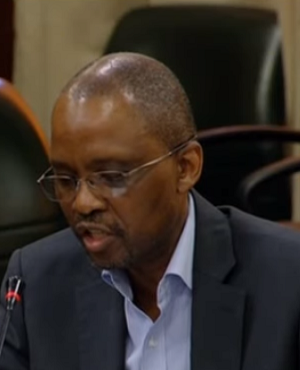 Eskom’s board approved the request for funding, but Exxaro was not formally notified. This is because Brown had the final say on the matter. In a letter Brown wrote to then-board chair Ben Ngubane in April 2017, Brown requested that Eskom demonstrate how the grant would promote socio-economic transformation before any approval would be given. Eskom failed to do this. Exxaro was only made aware of this information when Eskom disclosed it through arbitration proceedings. “We are, to date, still awaiting a written response from Eskom on these issues,” Mgojo said. Due to the stoppage of the mine and the lack of capital, the cost of coal from Matla mine increased, and Eskom then sourced coal from third parties, he explained. During the hearing Mgojo later said that these socio-economic imperatives were used as a “smokescreen”. In a written response related to Mgojo’s testimony, Cruywagen explained to Fin24 that the primary energy has been the “single biggest driver” in Eskom’s escalating costs. The minister has requested successive Eskom boards to develop a comprehensive long-term coal sourcing plan that reduces costs and drives transformation in the sector. This is still the task of the newly appointed board, he said. On the matter of transformation in the sector, Cruywagen said four companies, which include Exxaro, supply 78% of coal to Eskom and the remaining 22% is supplied by 30 black-owned companies. “It is the minister's responsibility, as the executive authority in terms of the PFMA (Public Finance Management Act), to consider significant transactions and determine that they make financial and transformative sense,” said Cruywagen. During the inquiry, committee member Pravin Gordhan suggested that Eskom’s management was not quite as serious about developing black enterprises in the mining space as it claimed. He said that certain individuals in Eskom and the political space let black entrepreneurs down. He took aim at Mineral Resources Minister Mosebenzi Zwane, saying that if he had spent less time in Switzerland and Dubai and more time focusing on empowerment, the sector would be significantly different. “Equally if Minister Brown, instead of ducking and diving the way she has with this committee and spent more time truly empowering young black entrepreneurs, by now we would have seen a different set of players on the scene,” he said. The Department of Public Enterprises has noted Exxaro Resources' complaint to the Parliamentary Committee on Public Enterprises that Eskom refused to invest R1.8 billion in the company to enable it to keep supplying coal to Eskom. The facts of the matter are that primary energy has been the single biggest driver of costs at Eskom growing at more than double inflation figures annually (except the last two years), and sitting at over 40% of revenue. Minister of Public Enterprises Lynne Brown requested successive Eskom Boards to develop a comprehensive long term coal sourcing plan that would reduce costs and drive transformation in a sector in which four companies (including Exxaro) supply 78% of coal to Eskom, with the remaining 22% supplied by 30 Black-owned companies. It made no sense that Eskom consumed over 70% of coal produced in SA but seemed unable to leverage that position to negotiate better prices while advancing economic transformation, the Minister said. But, in an environment complicated by the existence of long-term supply contracts, Eskom's Board battled to develop a comprehensive plan. The prerogative to address structural issues in the supply of coal therefore remains a critical issue facing Eskom's new leadership. It is the Minister's responsibility, as the executive authority in terms of the PFMA, to consider significant transactions and determine that they make financial and transformative sense. * Last year Exxaro reduced its empowerment status from 50%+ to 30%+.